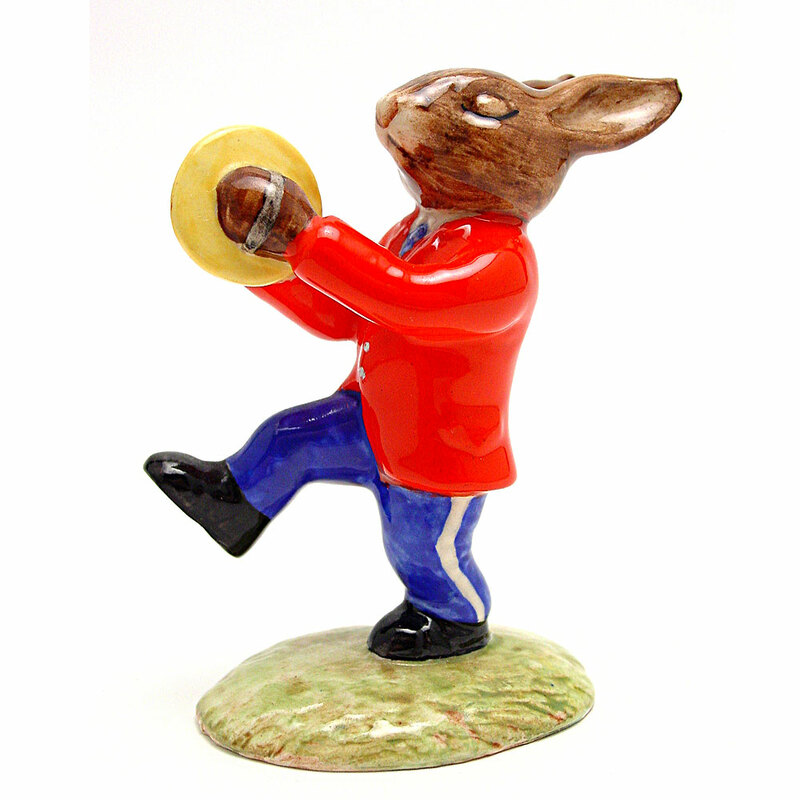 View cart “Cymbals DB25 – Royal Doulton Bunnykins” has been added to your cart. Farmer DB47. 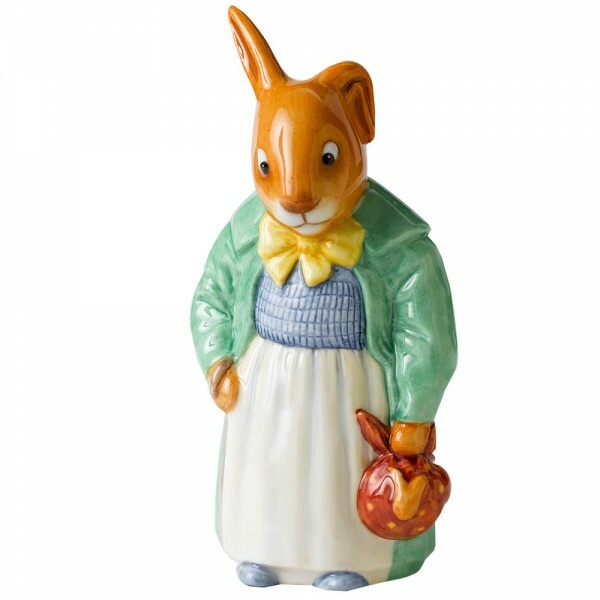 Part of the 75th Anniversary Bunnykins series. Size: 6″H. Made in England. In celebration of the 75th anniversary of Bunnykins, Royal Doulton looked to its colorful past to create a limited edition range of figures. In 2009, in honor of the milestone, they released six designs which were styled after the first Bunnykins family, produced in 1939. Made in England by the skilled artists at the Stoke-on-Trent Studio and limited to 500 pieces worldwide, this series includes Mother, Farmer, Freddie, Reggie, Mary and Billy. Each Bunnykins bears a special 75th anniversary backstamp and comes with a certificate of authenticity.